The Byzantine rite used by Orthodox and Catholics celebrates the 8th day of Pascha today: the appearance of Jesus, though the doors were locked, in the Upper Room. Here, where Jesus had celebrated the Last Supper with the apostles, and where the apostles had been gathering since Good Friday, Our Lord comes to all of them, but especially Thomas. Recall that Thomas had refused to believe in the resurrection, insisting he would do so only if he could put his fingers and hands into the gaping wounds left in that ravaged body after the Crucifixion. Jesus speaks directly to Thomas, opening His wounds to him, inviting him to put his hand into the wound of his right side, through which blood and water had gushed out in response to the centurion’s spear. Thomas falls down in worship, proclaiming that Jesus is both Kyrios (Lord) and God. Thomas’ skepticism so matches our age. So many people declare that they won’t believe unless certain conditions are met. Christ met Thomas’ questions head on, and bluntly. He testifies in those famous words about the coming generations : blessed are they who believe but cannot see for themselves. With all the news of North Korea going on, I thought it appropriate to present something of the faith of Korean Catholics. In a Church founded on the basis of reports coming to the isolated kingdom from its annual embassy to the emperor of China, not only could the Koreans not see Jesus, they did not even have the comfort of a priest for many years. Korea feared outside contamination, and the introduction of a totally new religion into the confucianist society was both feared and resented. The faith was discovered by scholars, from a small class of highly respected men who studied and taught society about its duties. When the first Chinese priest arrived, he found 4,000 believers led by Catholic scholars. No one had ever attended a Mass – yet they had great faith. Catholicism made steady progress among the ordinary people of Korea: the peasants, artisans, and workers. There were repeated violent persecutions, and the first Korean priest, St. Andrew Kim, was executed just thirteen months after his ordination. St. Andrew Kim, a priest for 13 months of which 3 were spent in prison. Catholics were tortured, impoverished, exiled, and mercilessly butchered, and still this underground Church made great progress. Religious freedom was not granted until 1883. French bishops and priests sneaked into the country to administer the sacraments. Korean women became consecrated virgins who catechized and led prayer services. St. Kwon Tug-In Peter made crucifixes and holy pictures for covert distribution; he and his entire family were arrested in 1839. St. Yu Chin-gil Augustine came to faith after piecing together pages of a Catholic book that had been torn apart in the 1801 persecution and used to patch a trunk. In those torn pages he found replies to questions that the official teachings could not answer. When he successfully joined the annual delegation to China in 1824, he made his way to the bishop to obtain Baptism, Confirmation and Holy Communion. The bishop was astounded to find such a well-educated Catholic from a country whose only priest had been executed! His son St. Yu Tae-ch’ol Peter was the youngest known martyr at 13 years of age. Augustine was brutally tortured and killed in 1839. Ultimately at least 8,000 to 10,000 Korean Catholics were martyred, and thousands more suffered ruined health from torture, lived in poverty after paying heavy fines, or were scattered across the peninsula in exile. Of these, 103 are saints of the Catholic Church. Jeoldusan Shrine and Museum of the Martyrs, on the spot where Catholics were slain from 1866-1873. “Jeoldusan” means Beheading Hill. Two thousand died here in 1866 alone. “Brutally” does not begin to describe it: it seems to me that Satan must inspire the minds of the Church’s enemies when it comes to torture, particularly in Asia but also under communism. Yet the Church endured. Today, about 11% of South Koreans are Catholic. Thirty per cent are Protestants or Orthodox (10 Orthodox parishes). In 1953 there were about 300,000 Catholics in the North. Thirty-six Benedictine monks and nuns from Tokwon abbey have been proposed as Martyrs: 14 monks and 2 nuns were executed for the Faith; 17 monks and 2 nuns died of starvation or untreated illness; the abbot died in a communist prison. Every Korean priest in the North was arrested, which ended sacramental life for the laity. Surviving foreign missionaries were expelled; some had died on death marches inside the North during the war. These included Bishop Patrick Byrne, Apostolic Delegate to Korea and an American Maryknoll missionary; Father Frank Canavan of the Irish Columbans, Mother Beatrix of the Sisters of St. Paul of Chartres, Mothers Therese and Mechthilde of the cloistered Carmelites, Fathers Joseph Bulteau, Antoine and Julien Gimbert (two brothers who had been missionaries there since 1900) and Paul Villemot of the Paris Foreign Mission Society. Some of these were shot, the others died of starvation and exhaustion. There are thousands upon thousands more of whom we know nothing. One priest-martyr we do know: Father Emil Kapaun, a Kansas-born priest who was a chaplain to the American Army. He wore himself out ministering to his fellow prisoners-of-war in 1950-51, and died in a so-called hospital, denied medical treatment. Holy Cross Abbey was closed in 1946 and the monks sent to the South. 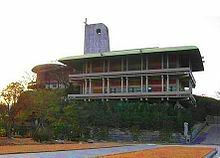 They built a new abbey at Waegwan. The Jerusalem of Asia was Pyongyang, the capital of North Korea. In 1948, out of 300,000 people over 50,000 were Christians. It is a tragic irony that it is now the capital of the self-made communist gods of the Kim family, whose latest progeny threatens world peace – or is rattling everyone in order to get the now-traditional appeasement from the great powers of America, China and Japan to dance to his tune once again and wrangle some concessions regarding nuclear attempts or food relief. May the Prince of Peace deliver us all from war, and may those who do not see come to faith. St Thomas, pray for us! Martyrs of Korea pray for us, and intercede for the triumph of Christ’s peace! Catholic church in Pyongyang, photographed in 1937 (notice rickshaw on left). Only God knows what happened to its parishioners. Christ the King, have mercy on us! Martyrs of Korea, pray for peace!